It’s no secret that to build long-lasting relationships and attract new leads, your content should be informational, provide value, and be entertaining. Most content marketers understand the first two, but seem to have trouble with the latter. Fortunately, humor is a valuable tool—and is certainly very entertaining! Let’s take a look at one shining example, from The Dollar Shave Club. This is a company that sells a seemingly boring product: shaving razors. In March 2012, they released a promotional video entitled “Our Blades are F***ing Great!” The title is enough to make you want to click, but the video itself is the epitome of comical awesomeness. And guess what? Within just 48 hours, the Dollar Shave Club received 12,000 new monthly subscribers, and the video has since generated more than 20 million YouTube views. Not bad. So how did they do this? And more importantly, why is it so funny? The answer: They incorporated humor by using the Benign Violation Theory. 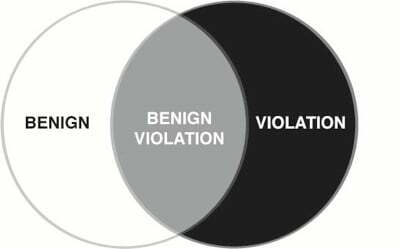 What is the Benign Violation Theory? The Dollar Shave Club’s promotional video violates the viewer’s understanding of the expected norm during commercial advertisements through their use of the word “f***ing.” This is a “safe violation” of commercial etiquette for people watching the video—a perfect use of Benign Violation Theory. But it doesn’t stop there. During the video, the CEO of The Dollar Shave Club mentions that his product is so gentle that even a toddler can use it. The viewers can then see a toddler shaving a man’s head. This is an obvious violation of expected normal human behavior. This isn’t the only example we see in everyday life. Television shows that cleverly utilize Benign Violation Theory humor include Peep Show, It’s Always Sunny in Philadelphia, and South Park, to name just a few. Now that you know what it is, how do you incorporate Benign Violation Theory into your own content? The good news is that you don’t need to use naughty words all the time in your content marketing—this isn’t the only way to be funny. The key is to understand your audience by working out what they consider to be accepted social norms. It’s important to use humor sparingly too, so that you don’t take the focus away from the topic you set out to cover. And it’s all about timing. A good time to use humor is in a title (like The Dollar Shave Club did) or towards the beginning of your article (sometimes referred to as the “hook”). This gets people interested in your piece of content and makes them care about it. If you’re good at evaluating risk, chances are you will be good at producing funny, entertaining content for your audience. 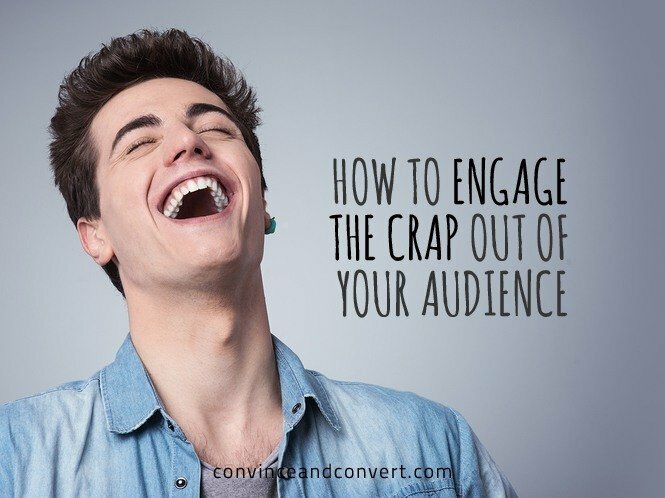 Ultimately, not everyone will appreciate every bit of humor you add to your content or every joke you tell, but this certainly doesn’t mean that you shouldn’t tell jokes. If you’re about as funny as a wet towel, don’t stress. There are plenty of funny people out there who would be more than willing to work with you to help produce content that tickles your audience’s funny bone. Daniel Tolliday is the Content and Inbound Manager at Green Hat, a B2B marketing agency in Melbourne, Australia; specializing in lead lifecycle and marketing automation programs.